I came across this post, on Why the CCNA is a dying trade, and felt that it deserved a counter-argument. It is a well written article, but I feel that it is more cloud-focussed than the current market trend actually is. How does cloud adoption affect you as a network engineer? It is true that more and more companies are adopting cloud services, it alleviates the pressure on internal staff, allowing another company to take the pressure, whilst at the same time potentially having a cost-saving. 1: Cloud services still need network engineers. Although the likes of Amazon Web Services (AWS) and Google, use whitebox switches (custom written network operating systems), which allow for a more tuned network environment, more suited to the product, they still need engineers to manage them. Whilst the CCNA will not teach you how to use this custom software, it will give you the overall knowledge of how switching and of how routing works, and this foundation is transferable to different vendor equipment. Most people work in an office. Offices have networking equipment. The network equipment needs someone to look after it. There will still be a need to have trained people to configure the network, segment it for security using VLANs, configure the routing so that users can actually access the Cloud. Having a cloud presence is fine, but you still need to be able to access it! Similar to the above, not everything is getting Cloudified. Working within a company that offers a Cloud solution, I still look after racks of switches and firewalls. There is a wealth of software we use that is not in the Cloud, and our users need to access it. 4: SDN will not take over from hands-on configuration. In the above post, Kieran states "it’s now all software defined networking and can be done by a relatively inexperienced (and cheap) technical resource, removing the need for those expensive Cisco engineers". SDN is great, it's so cool that networking tasks can be scripted, and SDN can make this a much more agile endeavour, But someone still needs to do the initial hardware installation, and that's if the equipment actually supports the API (Application Program Interface), not all router and switches do. Higher-end ones do, lower end ones, not so much. If anything, SDN will make the network engineer a dual-threat, one who knows his (or her) routing and switching, as well as programming languages such as Python. Returning to the post: "The thing is, a traditional engineer, taking days to configure switches, routers etc… has no place in the fast-paced cloud environment. If I can provision a new server in a couple of minutes". the initial configuration of a switch or router should not take days. If it does, then your methodology is wrong. Taking a switch as an example, it needs a hostname, management IP address, add it to VTP (so it gets the VLANs from the VTP server), and configure the ports as needed. This should be a day at the very most. After that, there will be the little tweaks and administration, as with any equipment. In the same paragraph: "If I can provision a new server in a couple of minutes, I want to be able to utilize it as soon as possible and don’t want to wait for my engineer to configure it." This depends on the backend architecture. If it's cloud-based then someone else has already done the hard work in setting up the template systems. I can install an OS from a PXE server within a few minutes as well, run a few updates etc and it's good to go. This applies to virtual servers and physical servers, but these are only as good as the template used, and you can still spend quite a few hours installing updates to secure the system, and whatever software is required for the purpose of the machine. Management software like Puppet or Chef can expedite this, but still, hands-on time is required for the initial install. One final quote from the article: "With all of this in mind, I would expect to see a year-on-year reduction in CCNA certified engineers in each of the companies that have already adopted the cloud and would expect to see a noticeable, industry-wide reduction in the next 5 years – with the financial sector being the last to relinquish control of their on-premise networks. My guess is that in 10 years CCNA will be a virtually forgotten qualification.". Well, according to ITJobsWatch.co.uk, there is actually a rise in the number of job postings looking for CCNAs. In 2014 the number of permanent jobs citing CCNA was 1837, and in 2015 this rose to 2179. in the three months to May 2016, this figure stands at 1848, so has already beaten 2014's figure. The salary has also risen, from about £35,000 in 2004 to around £40,000 in 2015/2016. 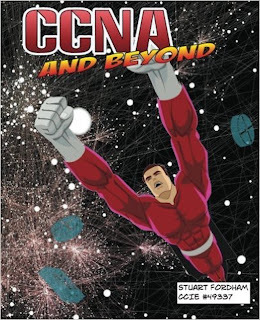 Since 2004 there has been a 3-4% rise in the number of jobs stating CCNA as a preference (from about 4% to 7%). Expanding this forward, in ten years, one in ten jobs (in the sector) will be looking for a CCNA. So, if anything, the market shows that demand for CCNAs has increased, rather than decreased. The cloud is great, but will never replace the network engineer, or the qualifications this entails.